What could be more delicious than a big messy sandwich at a picnic with friends. This Nicoise Pan Bagnat is packed with layers of flavour that only get better the longer they marinate together. 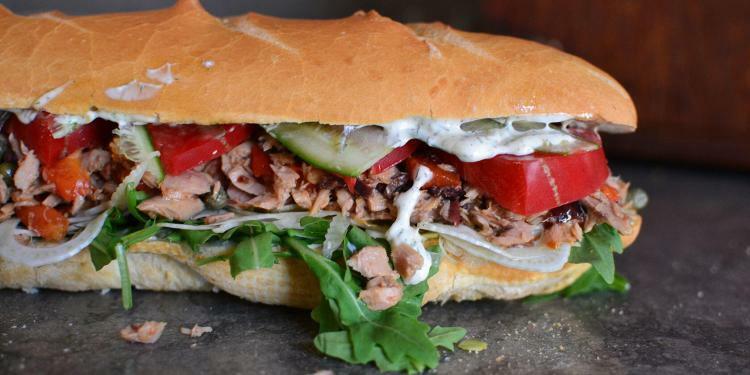 Fresh peppery arugula with tuna, pickles, olives, capers, fennel, tomatoes, anchovies and homemade mayonnaise are perfectly presented on an artisan baked french loaf.